Remarkable collection of five forward-thinking post-rock/art-rock records from a criminally underrated '90s group out of east London. 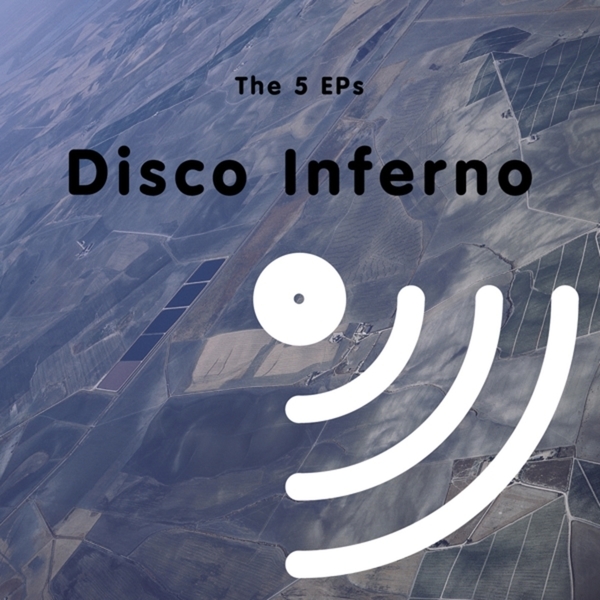 You'd be forgiven for not knowing Disco Inferno; they've largely been swept under the rug of '90s music history, but thanks to this compilation you've got no excuses from now on. I'm not going to front; i've never heard of these records before now. But i'm absolutely thrilled to make their acquaintance, however late to the party. 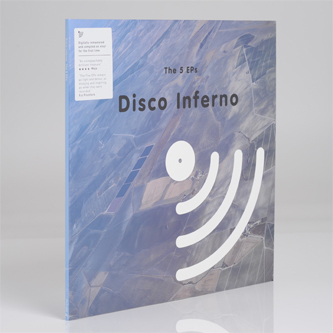 'The 5 EPs' is a comprehensive overview of their fistful of records for Rough Trade and the late Cheree Records dating between 1992-1994. They plot out the sound of a band who were consciously operating at the vanguard of rock music, embracing new digital technology to meld MIDI triggered sample banks with potent pop hooks in a manner that frankly sounds quite like nobody else from that era. There are definite similarities with the early '90s advance brigade of MBV, Sonic Youth, LOOP, etc, but there's also something less bombastic yet endearingly earnest and genuinely modern-sounding about them, a mixture of modesty, exploratory confidence and broad-minded scope that's ticking all our boxes. If we're pushed to pick highlights then the roiling, noisy, pitch-wrenched shoegaze slash of 'D.I. Go Pop' is right up there, as is the moire of MIDI connected patterns and textures that makes up 'Love Stepping Out' or 'From The Devil To The Deep Blue Sky', while we're split between the alternating ecstasy of 'It's A Kid's World' and the otherworldly whorl of 'Lost In Fog' from their kaleidoscopic final EP. Fans of forward thinking pop and rock from Animal Collective to Pump to Bark Psychosis and New Order should make this record priority listening.